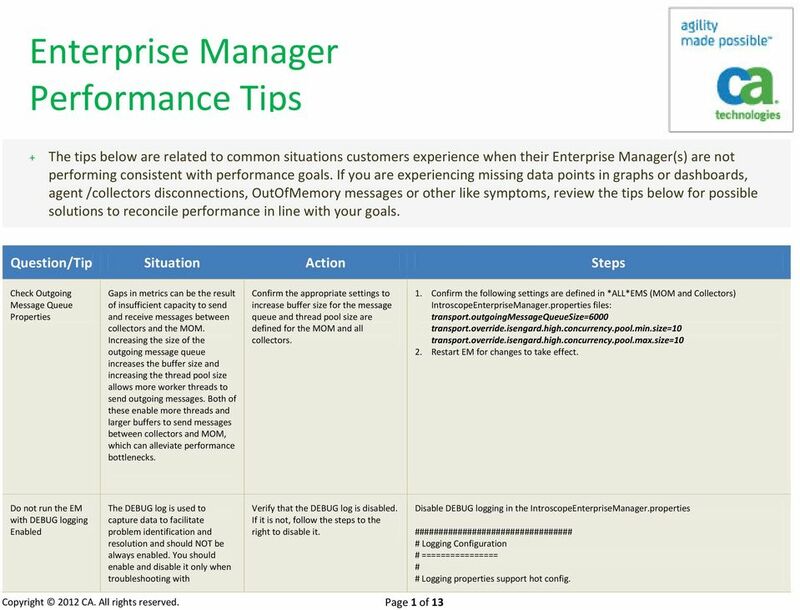 Download "Enterprise Manager Performance Tips"
Tuning Your GlassFish Performance Tips. 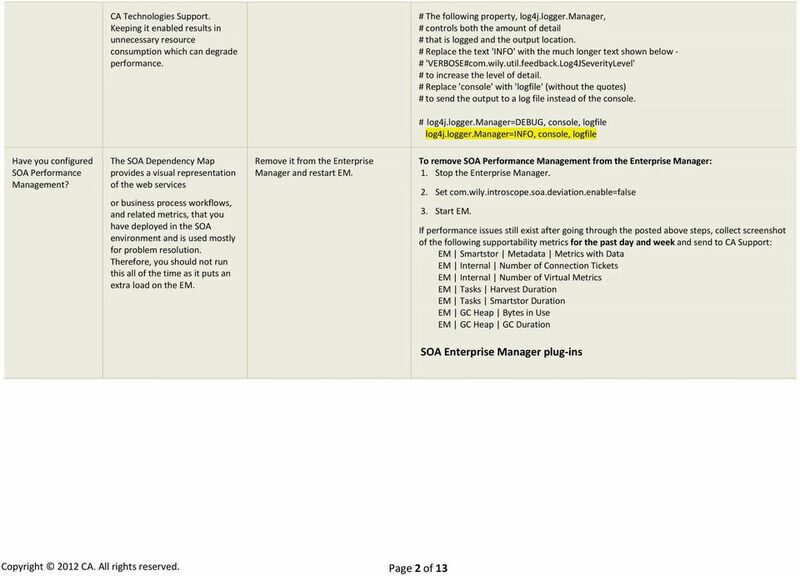 Deep Singh Enterprise Java Performance Team Sun Microsystems, Inc.
Oracle Primavera Contract Management 14.0 Sizing Guide October 2012 Legal Notices Oracle Primavera Oracle Primavera Contract Management 14.0 Sizing Guide Copyright 1997, 2012, Oracle and/or its affiliates. 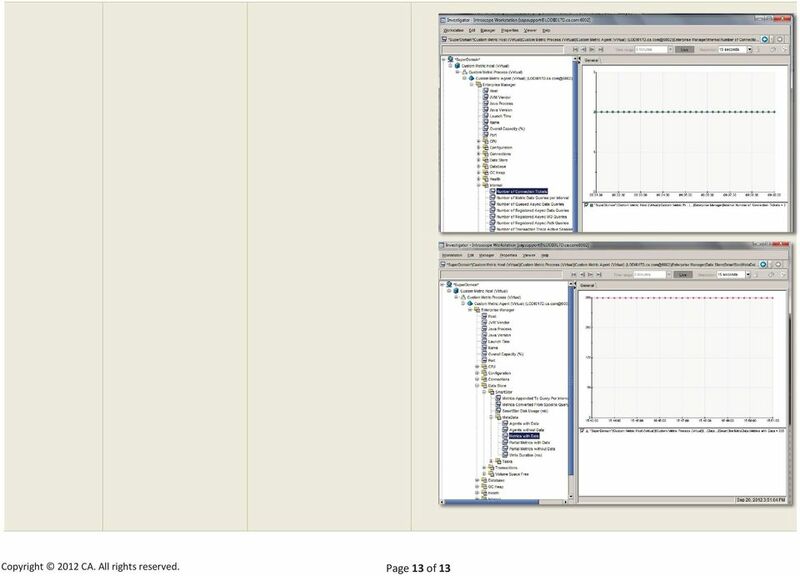 Performance Study VirtualCenter Database Performance for Microsoft SQL Server 2005 VirtualCenter 2.5 VMware VirtualCenter uses a database to store metadata on the state of a VMware Infrastructure environment. 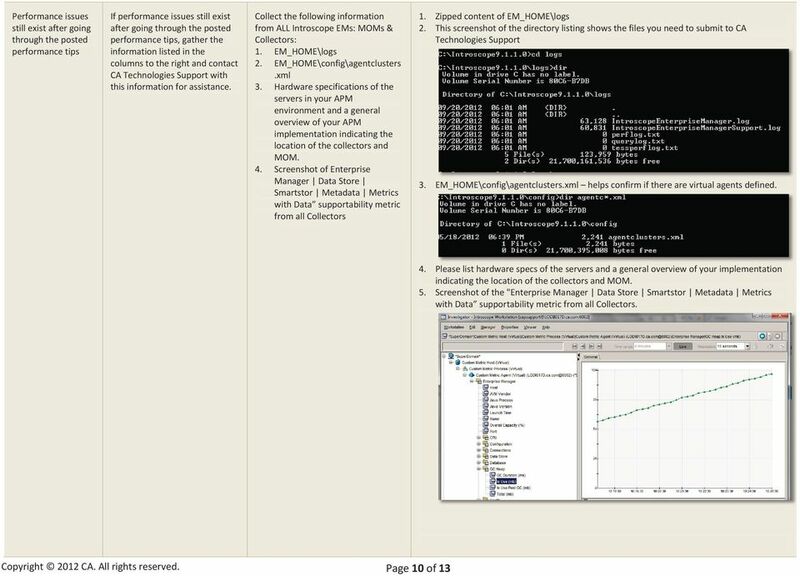 Table of Contents AboutMonitoring1 Sun ONE Application Server 7 Statistics 2 What Can Be Monitored? 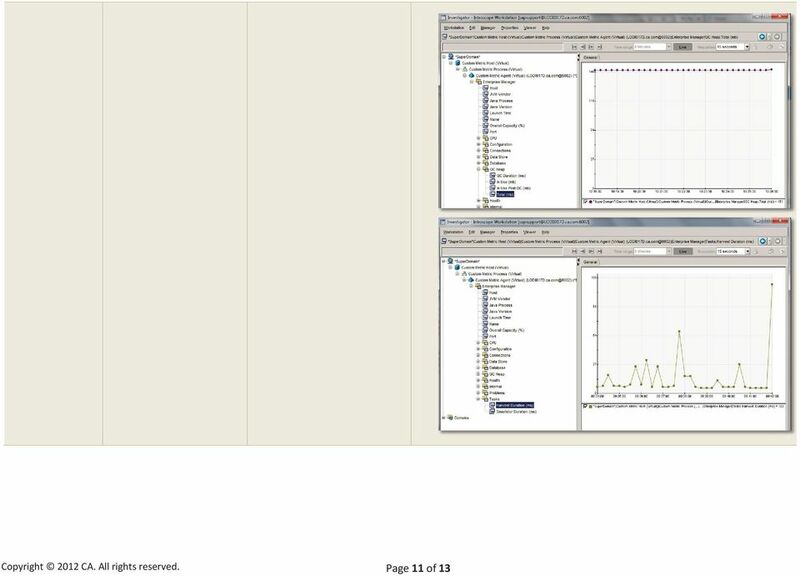 2 Extracting Monitored Information. 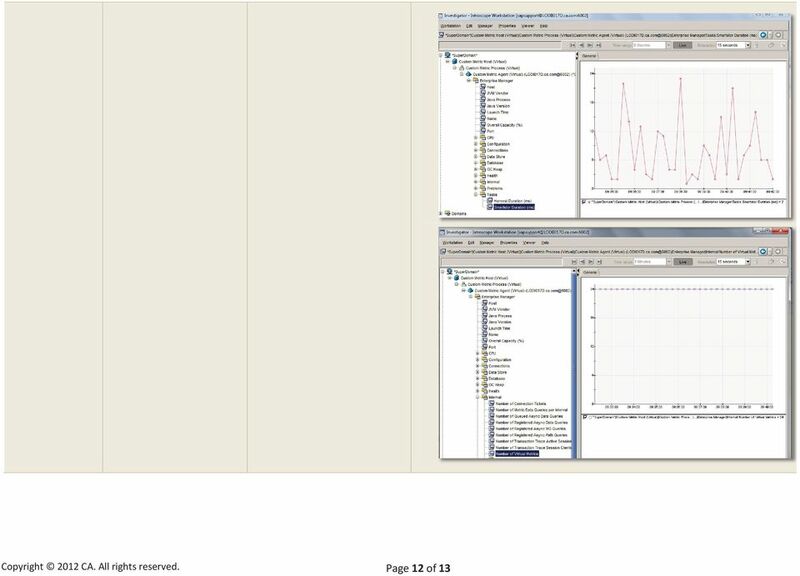 3 SNMPMonitoring..3 Quality of Service 4 Setting QoS Parameters.. This presentation will discuss how to troubleshoot different types of project creation issues with Information Server DataStage version 8. FIGURE 33.5. Selecting properties for the event log. 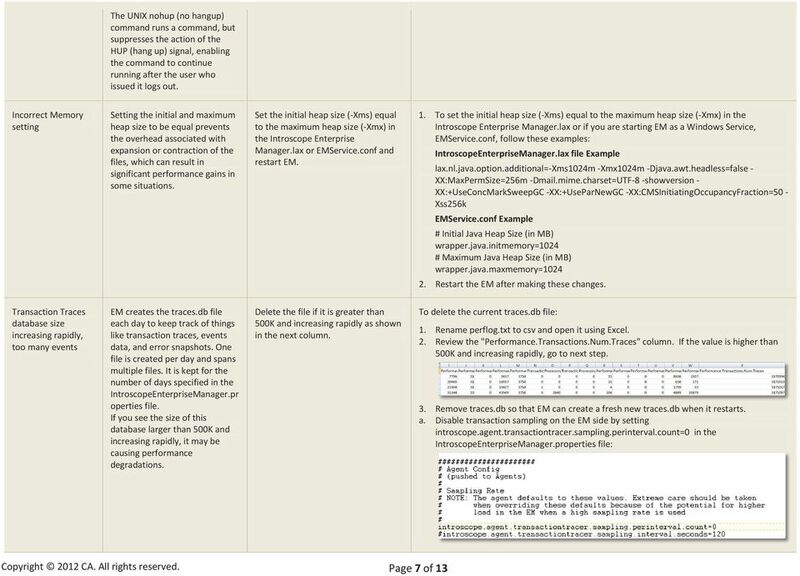 Java in Virtual Machines on VMware ESX: Best Practices TABLE OF CONTENTS 1. 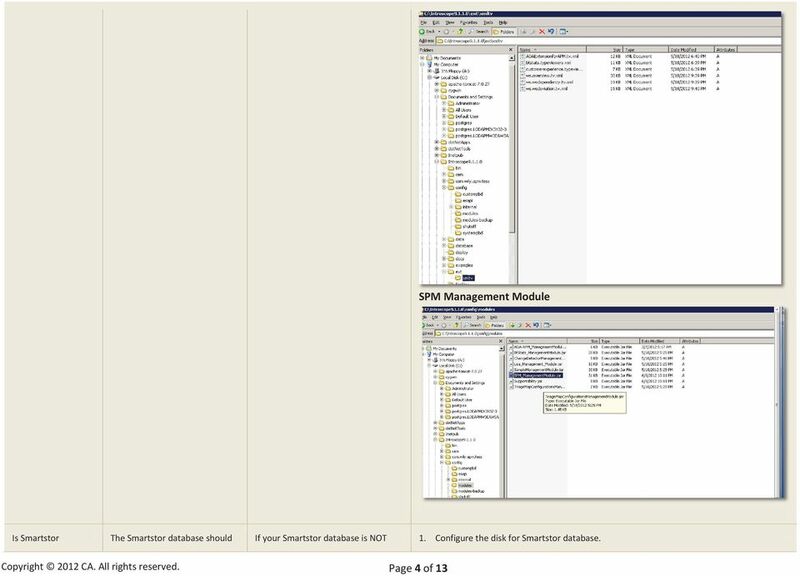 SUMMARY OF BEST PRACTICES...1 1.1 Java in Virtual Machines on ESX...1 1.2. 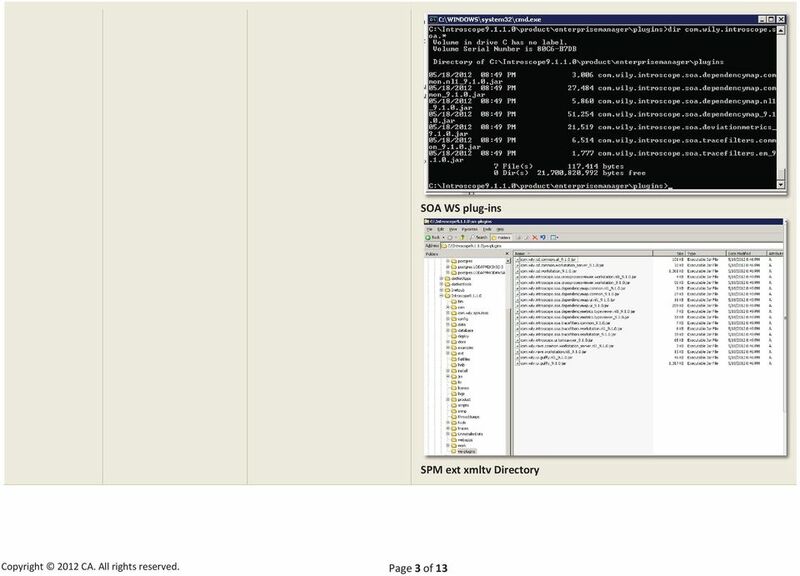 Running Applications in ESX Virtual Machines...2 2. Performance Tuning for Oracle WebCenter Content 11g: Strategies & Tactics CHRIS ROTHWELL & PAUL HEUPEL FISHBOWL SOLUTIONS, INC. Monitoring applications in multitier environment. Uroš Majcen uros@quest-slo.com. 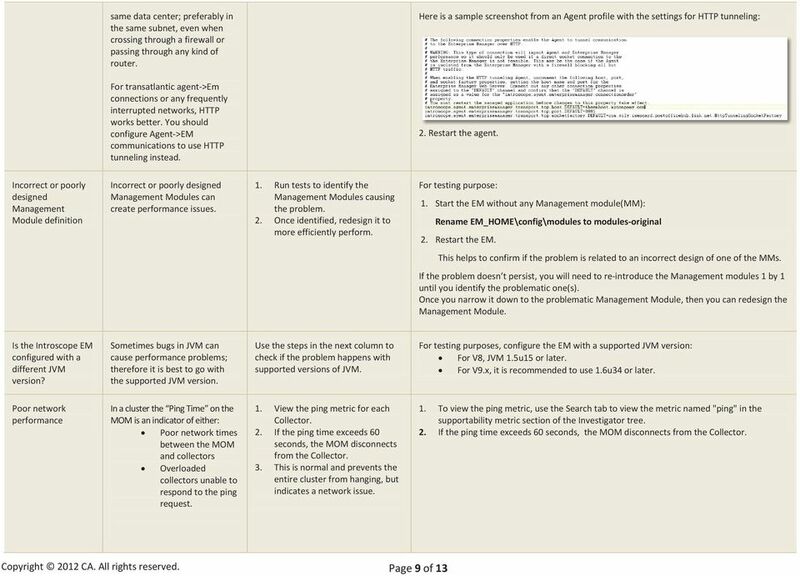 A New View on Application Management. www.quest. Quick Start for Network Agent. 5-Step Quick Start. 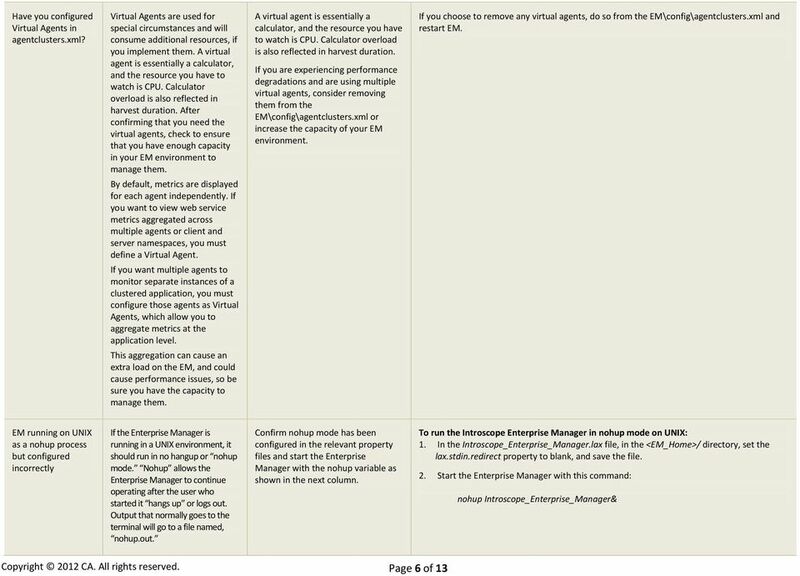 What is Network Agent?